From our wide range of products, we offer optimum quality Digital Laptops. At vendors end, the offered laptops are manufactured using finest quality components and modern technology by deft professionals. 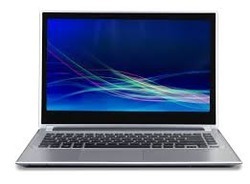 We offer these laptops in diverse technical specifications, in order to meet requirements of our prestigious clients. Apart from this, our offered range of laptops is meticulously tested by our vendors on well-defined parameters to deliver a flawless range at our client's end. Founded in the year 2001, at Vadodara (Gujarat, India), we "HI-MEM Computer System" are the leading Sole Proprietorship firm, engaged in Trading and Supplying the best quality range of CCTV Cameras, Computer Hardwares, Computer Peripherals, Computers Accessories, Desktop Computers, etc. These products are procured from our trustworthy market vendors. Owning to their features such as long service life, easy to operate, optimum functionality, and less maintenance, the provided products are widely demanded in the market. These products are precisely manufactured at our vendor's end using the best grade components and latest technology. We trade our products some well known brands like HP, Lenovo, Dell, Intel, etc. The provided products are available in various technical specifications as per the requirements of our valuable clients. Moreover, we also offer the qualitative Computer Repairing Services to our clients at most reasonable price. Our offered service is highly appreciated by clients for its flawlessness, promptness, cost-effectiveness and perfect execution. To perform this service, our professionals use the best quality repairing tools and modern techniques.